PAST, PRESENT and……..BEYOND!?! 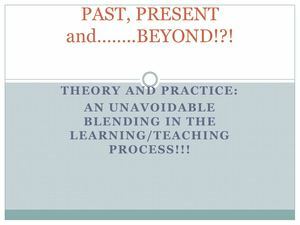 THEORY AND PRACTICE: AN UNAVOIDABLE BLENDING IN THE LEARNING /TEACHING PROCESS!! !